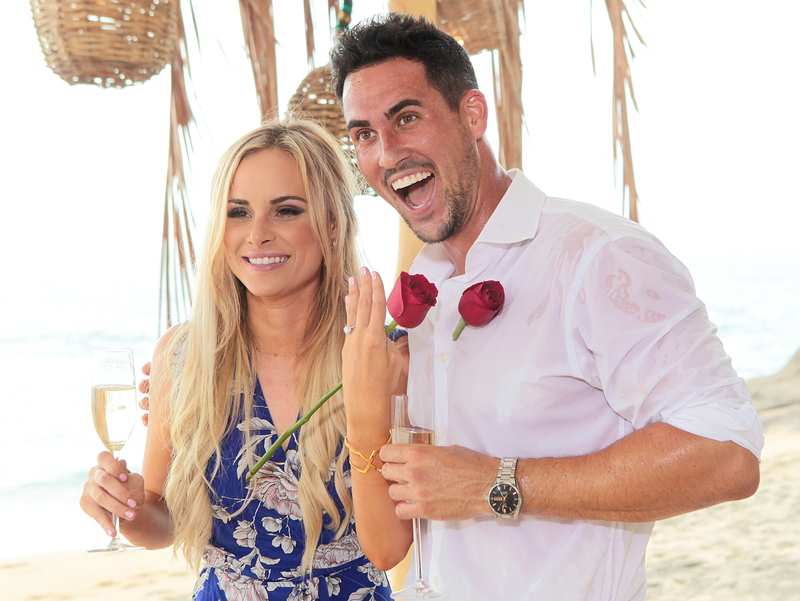 In her return to Bachelor in Paradise, Amanda Stanton is looking for a slightly different slice of the action. In the show’s season 4 opening credits, Stanton, 27, is seen running away from a man wearing a pizza costume, which is seemingly a jab at her ex Josh Murray. On season 3 of the hit ABC spinoff, Evan Bass interrupted an intimate moment between Murray and Stanton to warn her about allegations regarding Murray’s past relationship with Andi Dorfman. In one of fans’ favorite moments from the season, the former baseball player responded to the interruption by ordering a personal pizza and moaning excessively while eating it. As previously reported, Stanton and Murray got engaged on the series, but split in December 2016. Following Stanton’s return to Paradise, she is currently dating costar Robby Hayes, although Murray says he’s happy to see his ex in a new relationship.